Speeder.biz tricks users by showing a fake reward of Samsung Galaxy S9, iPhone X or iPhone XS. It asks personal and financial details to fill in order to get the reward. Follow the instructions to remove it. Speeder.biz is a scam website. It shows a pop-up saying that your IP address has been selected to receive an Samsung Galaxy S9, iPhone X or iPhone XS! It also says that – we want to thank you for your loyalty to Google! It uses the name of Google to make itself look like a genuine website. However, it is just a scam website that wants your financial information. When a user falls into the trap and clicks on the OK button it starts asking personal and confidential information. Every detail that you fill onto this website goes into the hand of cybercriminals. They could use it to steal your money or could use it for other illicit activities like identity theft. The prime reason Speeder.biz appear on your browser is due to adware infection. Sometimes it also appears when you visit a rogue website. Several websites on the internet add redirection in their click event to boost their revenue. They redirect you to such URLs upon clicking to their page. When it comes to the adware infection, it enters in your PC with the help of third-party software. Their makers bundle its code with free or pirated software. When you download or install any such software the adware finds the way to enter in your PC. To remove Speeder.biz Scam, download MalwareFox Anti-Malware. This tool is effective in getting rid of Trojans, viruses and malware. To make sure that no more malicious files linked to Speeder.biz Scam are inside the computer, we must run another effective scanner. This time, use Junkware Removal Tool. No installation is necessary with this tool. 6. After scanning the computer, JRT will open a Notepad containing scan logs. It may have not find Speeder.biz Scam relevant entities, but it will surely delete any malicious items not found in the previous scans. 4. At the bottom of the page, click on Reset settings to remove all changes made by Speeder.biz Scam. 4. In order to reverse modifications caused by Speeder.biz Scam, click on Reset button to bring back Internet Explorer's settings to their default condition. 3. Click on Refresh Firefox button to erase the effect of Speeder.biz Scam. 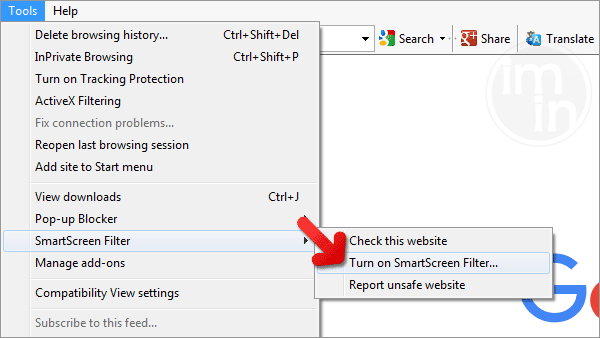 SmartScreen filter is a built-in feature in Microsoft Edge browser that can help you deter malicious programs such as Speeder.biz Scam. It can block malicious web sites and downloads.